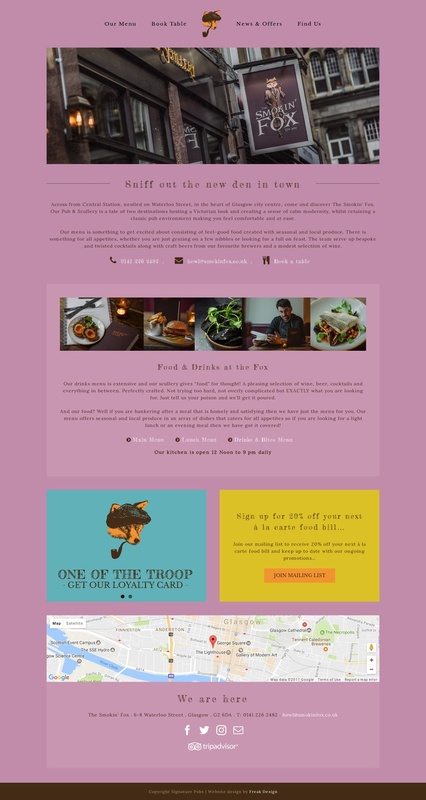 We had lots of fun creating the brand and digital presence for one of Glasgow’s latest restaurant and bars. Working with our friends at the Signature Group and utilising the success of their latest Edinburgh venture Badger & Co, our instructions were to create a similar brand for The Smokin’ Fox. Bespoke illustration was combined to a fresh bright contemporary setting.